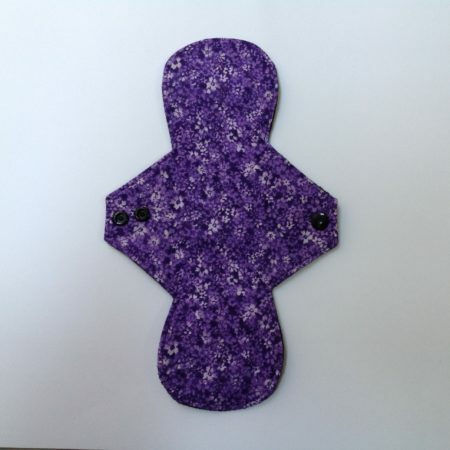 Size Medium Lady Matters Cloth Menstrual Pads , breathable, comfortable and environmentally friendly. 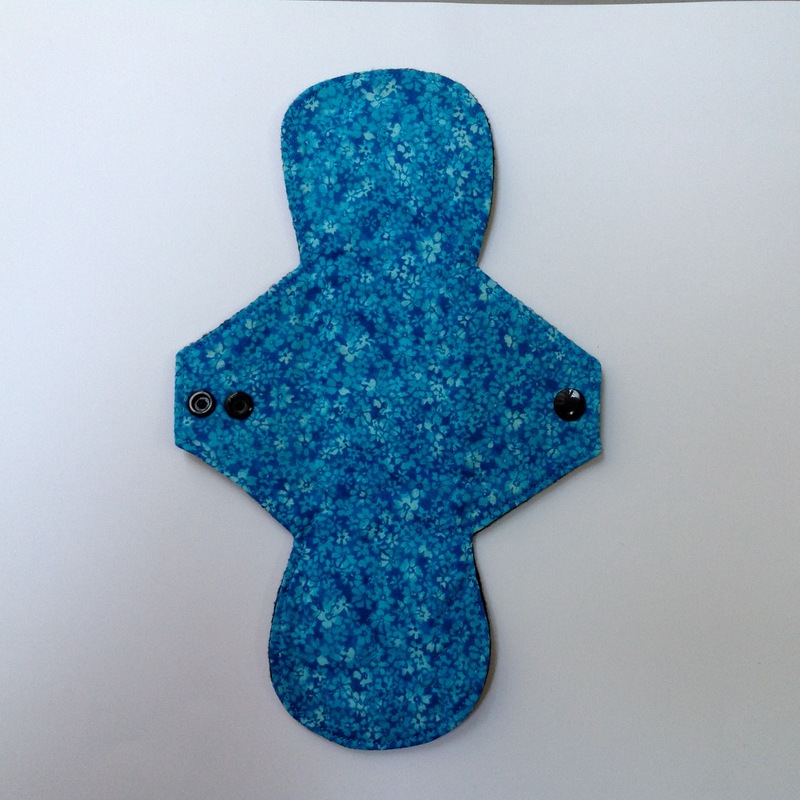 Lady Matters Cloth Pads are safe, comfortable and environmentally friendly. 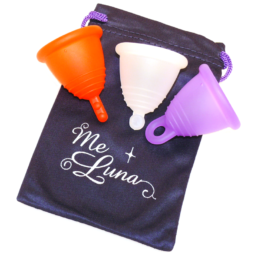 Conventional menstrual products are often laden with harmful chemicals and associated with many health risks. 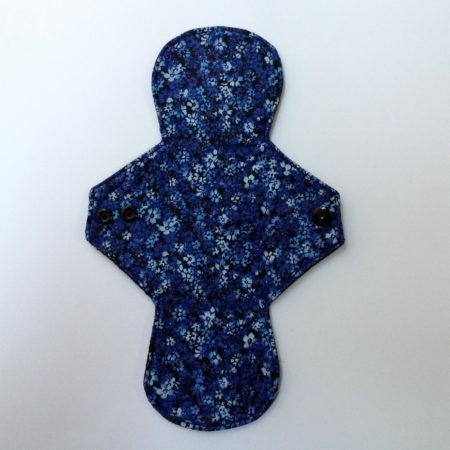 Our printed pads are made from 100% cotton against the skin, 100% cotton for absorbent layers and a soft, breathable waterproof backing designed to grip to your underwear. Our use of breathable fabrics will ensure you stay cool and comfortable. Cloth pads are easy to use even when you are out and about. 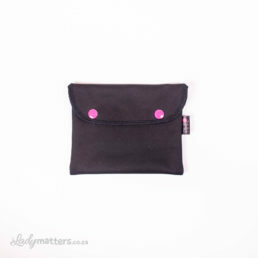 Simply fold, snap closed and keep in a mini wet bag. 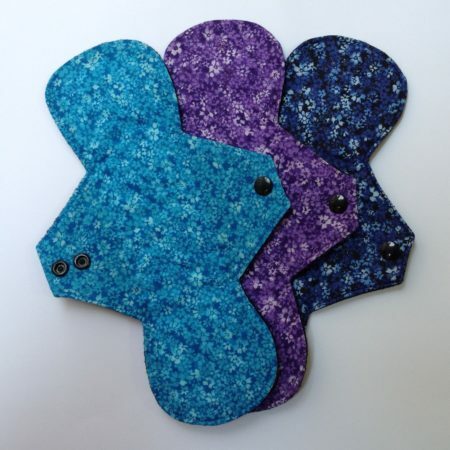 Lady Matters Cloth Pads come in a variety of sizes and patterns to choose from. Size small is suitable for light to regular days, it is 20cm in length. 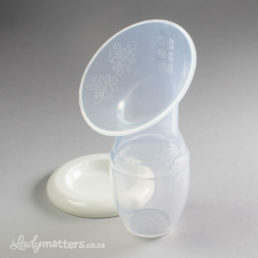 Size medium is suitable for regular to heavy days, it is 25cm in length. Rinse your pads with cold water after you have changed them, keep them in a wet bag and wash them all together in your machine. 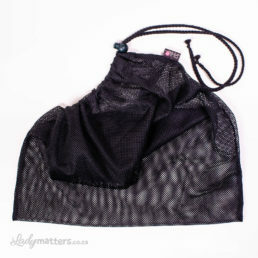 Wash them in the Lady Matters mesh bag to protect them in the wash.
You don’t need to rinse your pads if you don’t have the time, although it does help to prevent staining. Simply keep them in a wet bag and wash them together in your machine when you are ready. You can gently rub them with a cloth safe stain remover stick to remove any stains before adding them to your wash load. Pads can be washed at 30-40 degrees or a cold wash. It is preferable to use natural detergent and never use fabric softener as this can cause build up on the fibres. If you have a baby you can wash them in your normal cloth diaper cycle. 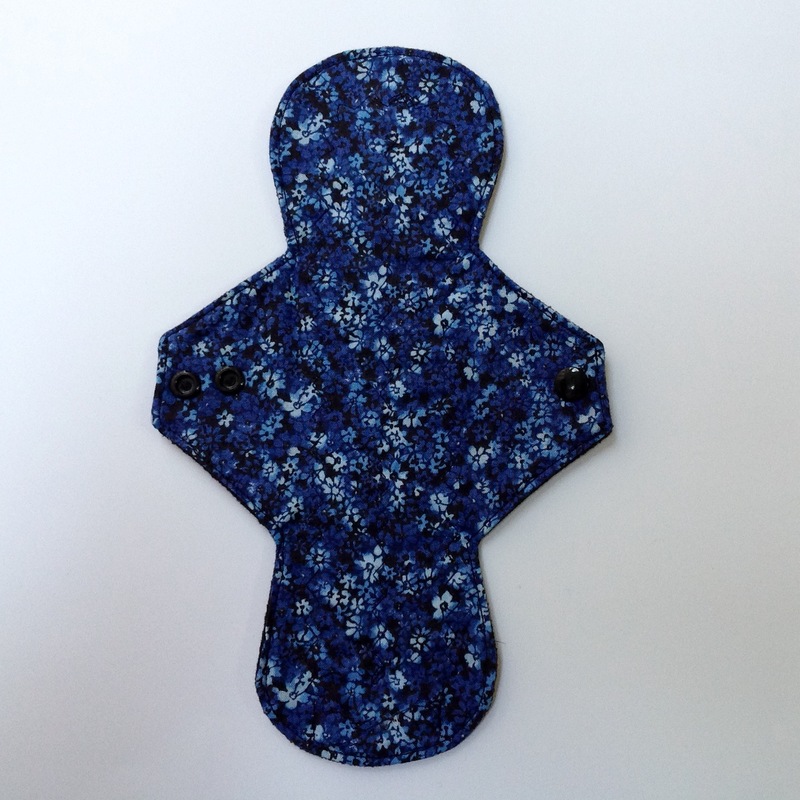 Because of the natural fibres used in our pads, they become more absorbent over time. Do not tumble dry as this can shorten the lifespan of your cloth pads.